I posted about this precious boy over a year ago, and it breaks my heart to know he's still waiting. You can read all about him below including his latest update from January 2019. And you must check out his videos too! Oh, how I pray his family finds him soon!! 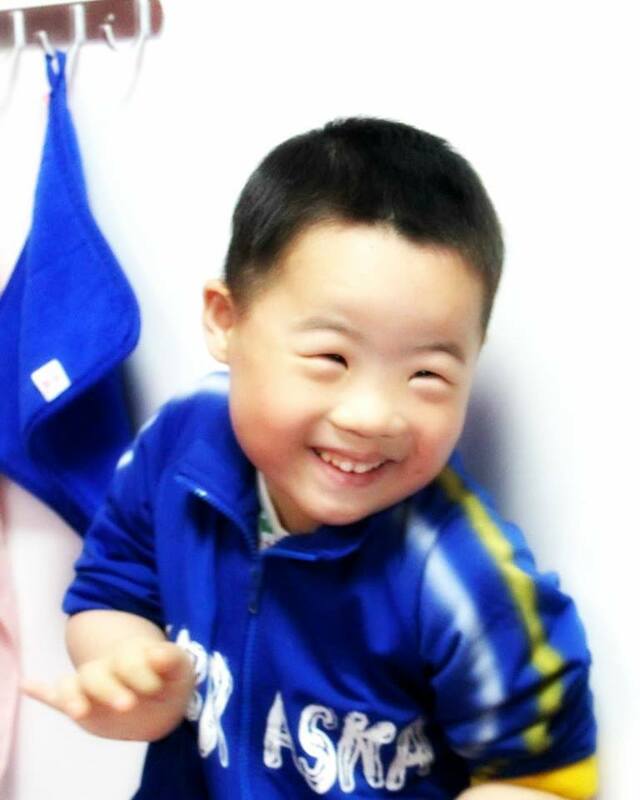 Emmett is an adorable, obedient, and polite boy, born in June of 2010 with Down syndrome. Emmett has the absolute best smile! He has a great foster family who takes him to all of the orphanage events and activities and he has received education through the One Sky Foundation. Emmett is able to walk, run, and use a spoon to feed himself. He enjoys watching TV, coloring, playing with blocks, and dancing. Emmett focuses well, is able to follow simple instructions from adults, and listens to conversations well. His caretakers say that he sometimes looks like a little adult when he is walking outside. Emmett knows all the names of his classmates and performs very well in school. An advocate met Emmett in May of 2018 and said this about him: "This little boy seemed to be a favorite at the orphanage. The lady that does paperwork at the orphanage knew him very well and he ran up to her as soon as he saw her and they hugged. The teacher bragged about him and I was told his foster mom is very good with him. He lives in a foster family that is very involved with orphanage activities and he often participates in events or field trips. He has had paperwork for years and they seemed surprised he was still waiting. He attends school with One Sky and has always lived with the same foster family. They had a computer touch screen at school and he knew his way around it really well. Another boy was looking for a song and he kept pressing a different button and running away to dance to the song he was choosing. He followed directions well and was obedient to his teacher and polite during class time. They were learning to use a pencil and he had a good grasp. 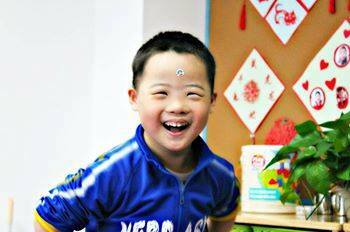 All the kids in his class had Down syndrome and most of them had more delays than him." January 2019 Written Update: Emmett has lived in a foster family at for a long time. He is very used to living with a lot of little kids. He has a very good relationship with the other kids in the house. With the children with similar abilities as him, he loves to play with them and gets really happy and excited to be with them. In other environments, like school, it is apparent that he is closer to the other kids who live in his same family. With the children with more severe disabilities, he will often help his mama and is able to help take care of them. He is outgoing and loves to smile. When he laughs we all think he is very cute. Most of the time his temper is good and he is very willing to cooperate with adults. However, he has his own personality and if a stranger pushes him to do something he is not comfortable with or difficult he can get angry. He can sometimes be impatient. Has some language delays and sometimes he can get anxious if he can’t express himself clearly. With people he knows he doesn’t lose his temper. But if a stranger forces him to do something like for example a performance he won’t be happy. He is very happy and lively most of the time. He likes to hug and kiss familiar people and hear compliments. He can walk by himself. In fact, his sport abilities are not bad. He can even help his mama push other kids on the stroller. He is pretty independent in activities of daily living. Because he has had the opportunity to go out more often, when he is outside he listens well to direction, stays close to the mama or to the teacher. He can basically cooperate, especially if it’s activities of daily life or school that he is used to. He is good at listening to his mama or teacher. He did a great performance for Chinese New Year. He always likes to dance and participate in performances. Other grants may be available based on the adoptive family's circumstances. Agency grants are awarded as agency fee reductions. MAA also partners with the Brittany's Hope Foundation for matching grants, which are given out twice a year January and July) and to families that are officially matched with a child.